Welcome! I’m Kelsey Ramirez, a football loving mom to two, fun-loving daughters, elementary teacher, designer and trainer, and informational coordinating Coastie wife. As I grew up in a military family, I know first hand the sacrifices that spouses and children give for this country. Who knew that 20 years later, I would stumble into a relationship with a Coastie and eventually marry him. As the girlfriend and fiance, I was an outsider, as most are. A college graduate and then new teacher, I was just trying to deal with my own career and life. I knew I would marry this man, but I did not know all that would completely accompany it. I dealt with moves, TDY, schools, etc. There was so much to learn and not many resources. It didn’t come until after we were married that I would receive some more insight. As a new spouse, I was excited to have a built-in community to teach me, support me, and on those long deployments (long is a relative term for each individual) drink some fruity drinks, eat ice cream, and dance around my living room. What I actually learned is that I found a few friends in our multiple moves who I treasure today that ultimately helped me. 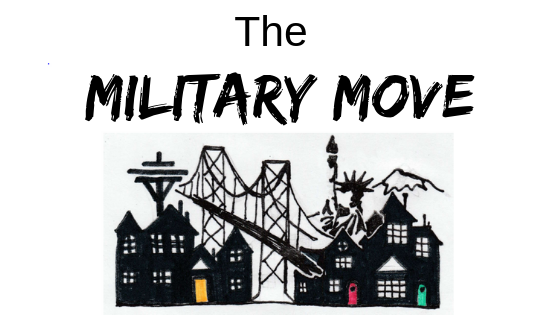 The ultimate goal behind The Military Move, is to help all military families (and their loved ones) with the day-to-day issues we face and to become that friend when you have questions. The list of information and guidance on here is not limited but includes financial issues, moving, educational benefits, and deployment advice to name a few. No matter what your service member does, no matter what branch they serve, this site is here to serve you. As a Real Estate Broker, I would love to help you assess the value of your home, educate you about home ownership and what changes in the market mean for you as a homeowner, assist in buying or selling a home or investment property, and connect you with other agents or brokers in your state. Find my website in the Moving section or use the contact card, and I will contact you! 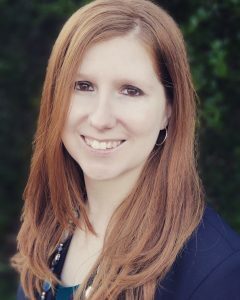 Kelsey is a Real Estate Broker with John L Scott in Kitsap County, Washington. She is a former teacher spending 9 years in elementary education. She has a B.S. in Education and Masters in Ed. Technology. She currently is the owner/operator of The Military Move. If you would like to work with her by contributing information to The Military Move or would like to discuss Real Estate Brokerage services, get started by contacting her.